Over a year ago, a friend showed me that it’s possible. She showed me my wings, gave me a little nudge, and pushed me out of the nest. Has anyone ever done that for you? When Lisa-Jo Baker asked me to take over as host of the Five Minute Friday community, she took a great risk. I’d never done anything like that before, and Five Minute Friday was her baby. What if I failed? What if I spread my wings, flapped furiously a few times, and fell flat on my face? But Lisa-Jo nudged anyway, risks and all. She could’ve kept Five Minute Friday to herself. Or, if she couldn’t manage the time commitment anymore, she could’ve let it die, with her name still branded on the side. Instead, she was content to pass it on, and let someone else take to the sky. I never would’ve ventured out of the nest on my own. And I know I haven’t soared as gracefully or as masterfully as she did. I never will — and that’s okay. Because in giving me the space to extend my wings, Lisa-Jo has given me so much more. She’s shown me the gift it is to give someone else a chance to fly. She’s shown me that there’s nothing wrong with watching someone else soar. Best of all, she helped me to see that flying is no feat of my own strength. 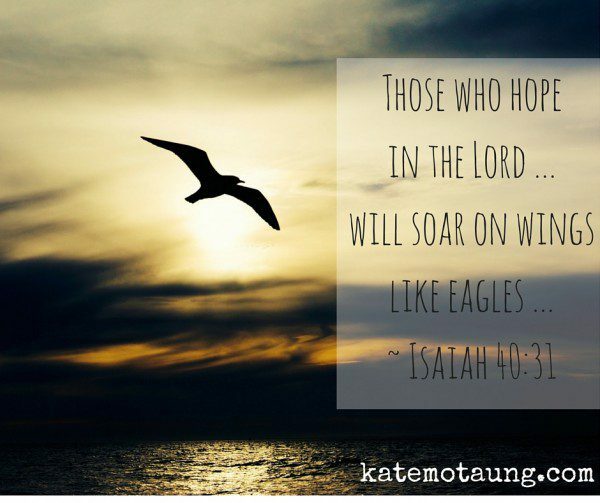 It’s hope in God that puts the wind underneath our wings. He’s the one who lifts us up, to carry His glory across the skies and beyond. Who can you encourage today? 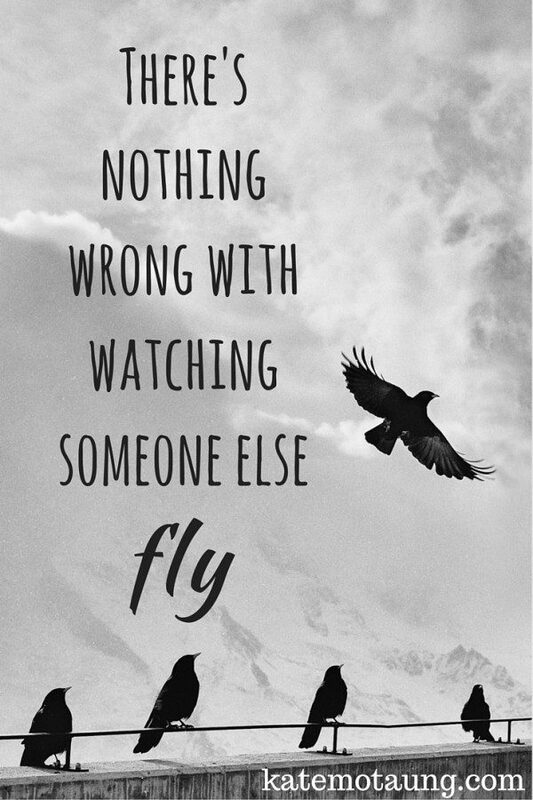 Who needs you to show them that they have wings to fly? This is Day 14 of 31 Days of Five Minute Free Writes. Catch up on the rest of the posts in this series by clicking here. Seriously! Pretty much as soon as I hit publish on my post (of this prompt: fly) a next-door neighbor knocked on my door. She does this periodically – just to come over and talk. She needed to. Her heart was heavy and for so many reasons. I only share this – as I’m grateful to say that the words of my post came back into the conversation as a means of encouragement. This is why I blog. One never knows… how words can help. And, in this case, encourage!! Whether they’re audible or being read. I enjoyed reading your thoughts on this prompt, here today! !